Home Unlabelled Diezani to Forfeit $37.5 Million Property Belonging to Her. 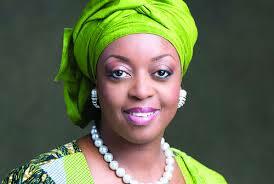 Diezani to Forfeit $37.5 Million Property Belonging to Her. The Federal High Court in Lagos has ordered former petroleum minister Allison-Madueke Diezani to forfeit a $37.5 million property belonging to her, located in Banana Island. According to Punch, the court also ordered that $2,740,197.96 and N84,537,840.70 realised as rents on the property also be forfeited.The court had earlier in the month ordered the seizure of both the property and the sums of money. The Economic and Financial Crimes Commission (EFCC) lawyer Anselem Ozioko had told the court that despite the anti-graft agency’s effort to personally serve the second and third respondents of the case, Afamefuna Nwokedi, and a company, Rusimpex Limited respectively, they did not show up at the court to contest the forfeiture order. “In summary, it appears as if they are not willing to contest this application,” Ozioko said.